Climate Common Sense: Kiwi sceptics in court. I've maintained the view for many years now that legal action through the Courts may become the best course of action to properly deal with this issue. 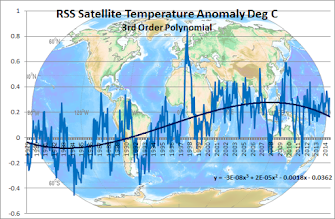 The outrageous claims and statements made by the global warming alarmists, seemingly delivered with impunity in the name of 'Science', have had serious commercial repercussions in numerous areas of the economy, plus major social implications, and they should be held accountable. We have seen real estate prices in coastal areas plummet, power prices increased beyond any level that might be considered reasonable, new taxes levied and huge sums of public monies wasted on flawed research and computer modelling. On top of this we have witnessed billions of dollars wasted on lost causes such as pink bats, green power subsidies and ridiculous alternative energy schemes. I am amazed the culprits have so far managed to avoid being held accountable when their many dire predictions have clearly failed to eventuate time after time. If ordinary business people attempted to attract the huge sums of money these people manage to extract from both the private and public purses with their pseudo scientific claims, they would be labelled snake oil salesmen, or conmen and unceremoniously dumped in jail. Your absolutely right teejay. I've been telling my warmist friends this for years. But whatever I say simply goes into one ear and out the other. 100% agree there TeeJay. 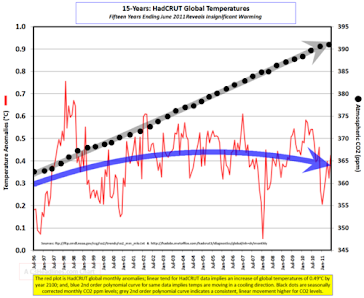 A level playing field for the so-called climate debate has been l-o-n-g overdue, ever since the High Priest weather 'experts' were predicting a catastrophic new Ice Age back in the 1970s and then did their 180 degree U-turn a few years later. If the general public and politicians had even a basic grounding in true scientific method, there wouldn't be a debate because the Warmist shonks wouldn't be able to disguise their BS and wishful thinking with big mysterious 'scientific' words.